I’m going to make it easy for you by sharing three scenarios when, time and time again, I see women completely kid themselves about a man’s interest. It’ll help you identify if your patience is worth it, or if he’s not that into and you’re merely making excuses for his bad behavior. 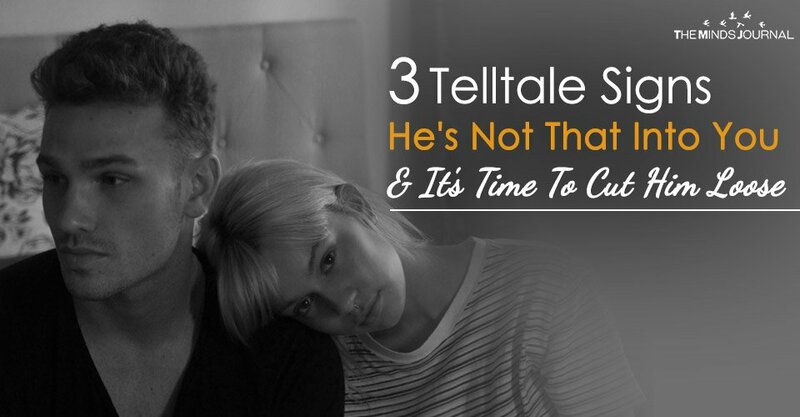 This way, if you run into these situations in the future, you’ll remember this article and can avoid investing your hope (and time) on Mr. Wrong. 1. He’s too busy to see you. You tell yourself it’s obvious that he likes you. Why else would he spend all that time texting you, right? This is where the fantasy begins. Based on the virtual conversations you have, or even on the phone, you start to interpret his contact as strong evidence that he’s into you. You might find yourself “falling in love” and thinking about him throughout the day. You spend time daydreaming about what the future holds for the two of you. Your wake-up call: If a man is genuinely interested in you, he’ll make time to see you. I realize that’s hard to accept, but the truth is that there are men who enjoy just texting women, and they’re probably conversing with several along with you. It’s fun. It’s an ego boost. But most importantly, it’s a huge waste of your precious time. This guy isn’t into you, he’s just stringing you along. I don’t know why, but I have no doubt this is the case. And WHY he does this doesn’t really matter. The actions a man takes are what count most toward proving his interest. If he’s not happily and regularly making time to see you, he’s not the right man for you. Period. Understanding men is really that simple. The right man for you wants to spend time with you. He wants to see you in the flesh and have ample opportunity to kiss those pretty lips of yours. He would never hide from you or make excuses about how busy he is. When a man is serious about you, he’ll move heaven and earth to spend time with you.